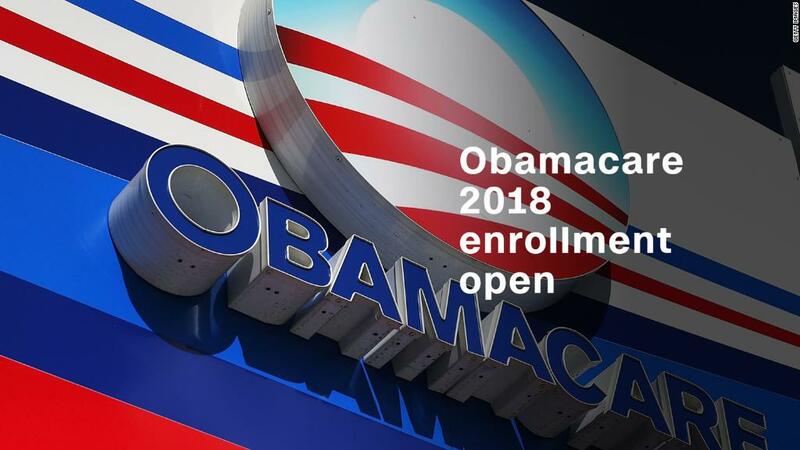 Obama tweets: Final days to enroll in Obamacare are here! He may no longer be in office, but former President Obama is still encouraging people to sign up for his landmark health reform law. The former commander in chief reminded Americans in a tweet and a Facebook post that they have until Friday to sign up for Obamacare for 2018 in most states. He also joined a conference call to thank several hundred people who are helping Americans sign up for coverage on the exchanges. "I know that people who are on this call are already on the case, but I wouldn't be doing my job if I didn't give it one last plug, 'cause there are a lot of people who don't know that they're eligible for financial assistance," Obama said on the call hosted by Get America Covered, which was founded by his former administration officials. "They're not aware of the fact that most people can still find plans with monthly premiums under $75." Some 3.6 million people had signed up for Affordable Care Act policies through Dec. 2 in the 39 states that use the federal exchange, healthcare.gov. That's more than at that time a year ago. However, consumers also have much less time to pick a plan for 2018. The Trump administration cut the enrollment period in half, ending it on Dec. 15 this year instead of Jan. 31, and it slashed the advertising budget used to inform Americans of the deadline. Advocates are concerned that people -- particularly younger and healthier consumers -- either don't know of the approaching deadline or don't realize that premium subsidies are still available. In fact, many consumers who qualify for federal aid can find plans with lower rates this year. It's likely that sign ups will fall short of the 9.2 million who selected policies on the federal exchange in the last enrollment season. A total of 12.2 million picked plans for 2017 when the state-based exchanges were factored in. Consumers aren't considered enrolled until they make their first premium payment.